On the first of January 1947 a lady began singing some Tamil songs in Sri Bhagavan’s Hall. Among them were Ramana Stuti Panchakam songs. In This connection a devotee asked Bhagavan how many times the author of those songs, Satamangalam Venkataramayyar, had visited Bhagavan, and where he was now. Sri Bhagavan replied, “He came only once when we were at the Virupaksha Cave. The first four songs, he wrote while he was here, one each day of his stay, and the fifth, the Ramana Sadguru song, he sent after going to his place. He never again came here and we know nothing more about him. He finds Ramana, the universal being, in the sun, the moon and the stars; in the shining light of the diamond sparkling in the heart; Ramana is the Lord sporting in the merry-go-round of the untained Vedas; the perfect master leading to Liberation on the Sona Hill. 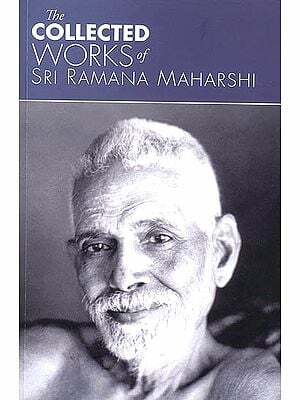 He says Sri Ramana and Arunachala are identical and that Sri Ramana eluded the eager search of Brahma and Vishnu. ‘Him , the devotees from all over the world seek’ (IV – 9), are prophetic words spokenas early as 1910-11 which came later to be fulfilled at Sri Ramanasramam. 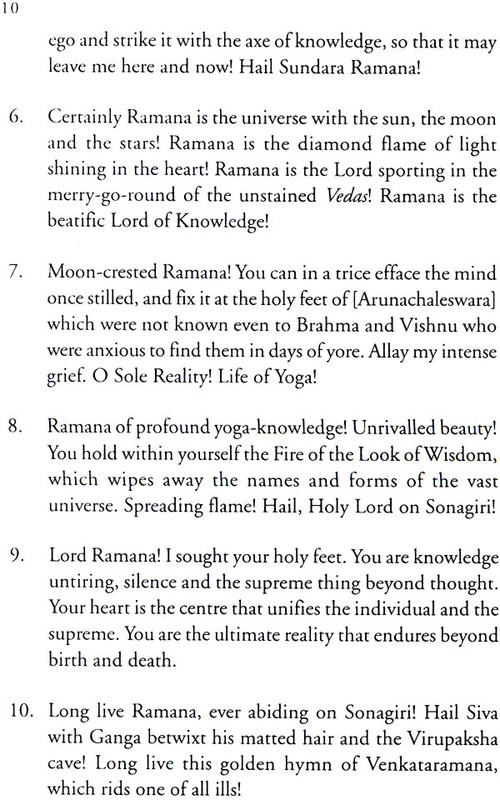 Sri Maharshi’s impersonality and personality are so beautifully portrayed in Hymn V, Ramana Sat Guru. A reading of it would bring before our delighted heart Sri Maharshi as he is. Of course, no translation can convey in full the soul-stirring utterances of a devotee in his mother tongue. The most striking thing about this great devotee is, that having drunk deep the grace of Bhagavan, he never felt the need to come back to his presence.